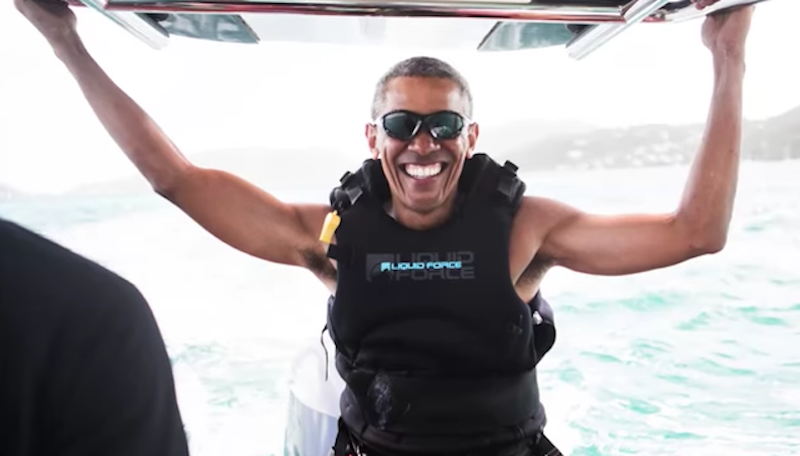 There were indications last week, when video of Obama wearing a backwards hat, sunglasses, and rubber flip flops leaked online, but the new evidence makes clear the former president is really doing this thing. It’s true. He’s a kitesurfer now. President Trump, on the other hand, was forced to issue a denial yesterday after a report came out indicating he spends much of his time in the White House wearing a bathrobe watching cable news. Specifically, he claims, he doesn’t own a bathrobe. Artist’s rendering of White House transition of power. Image via Kensington Palace/The British Monarchy.